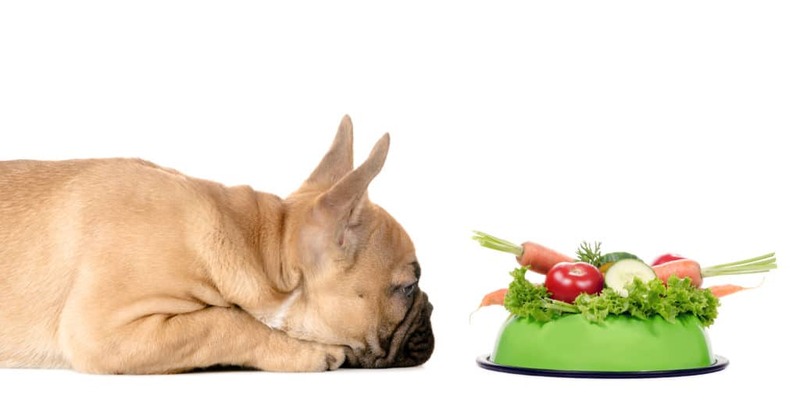 What should you do if your puppy can’t keep his food down? How can you tell if you’ve got a puppy with a sensitive stomach? And why, oh why, won’t your little puppy eat his food? No puppy mom or dad wants to see their little one suffering, so a puppy with a sensitive stomach is probably something to sort as soon as possible. It’s actually quite common for puppies to have more sensitive stomachs than their adult counterparts, as a lot of the time this is due to their still-developing immune and digestive systems. We understand that it can be a little stressful, but a lot of the time it isn’t a reason to panic. Luckily, with a few dietary changes and puppy foods for sensitive stomachs, we can often have this under control quite quickly. We’ve put together some of the signs that your puppy might have a sensitive tummy, as well as some of the market-leading brands that offer potential solutions. How do I know if my puppy has a sensitive stomach? 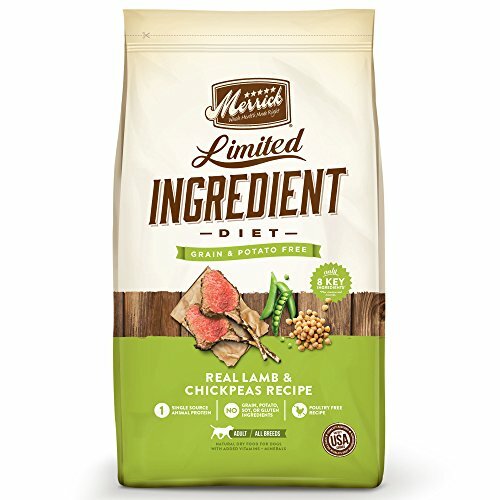 What are the characteristics of a limited ingredient diet? How do I keep my puppy healthy if he has a sensitive stomach? Why do puppies get sensitive stomachs? Can I give my puppy table scraps if he has a sensitive tummy? With so many sensitive stomach puppy foods, how can I pick the best? Suited for puppies of up to 200 pounds! Feeling itchy and scratching at sensitive spots on his body. But what to do about it? If you’re worried because these symptoms are particularly serious, then you should take your puppy straight to his vet. Fairly often, however, milder forms of these indicators often just signal a sensitive stomach. Which can be uncomfortable for your puppy, but nothing to panic about. A lot of the time, a sensitive stomach can be the result of your puppy being intolerant or sensitive to particular ingredients. Not to be confused with allergies (which are far more serious and require immediate vet attention), sensitivities and intolerances will require your puppy to avoid certain ingredients. He will most likely need to switch to puppy foods for sensitive stomachs. Use hydrolyzed vegetable proteins rather than meat – for puppies who may have more than one meat allergy. So while it may sound super-complicated, it’s actually the exact opposite! A lot of the time, puppies with sensitive stomachs will just need to steer clear of whatever ingredient is triggering their symptoms and they’ll be A-OK.
Making sure your puppy’s getting balanced amounts of fiber in his diet, for easier digestion. For puppies who can handle gluten, whole brown rice and oatmeal are often good examples of gentle fibers. Keeping track of what your puppy eats. If you know what your fluffy friend ate before he felt off-color, you may be able to pick up on trends or patterns that can help you avoid certain foods. Avoiding overexposure to one specific protein. Puppies have still-developing digestive and immune systems. When they eat the same meat-based protein over and over without variety, they may be more prone to developing a hypersensitivity to it. Canidae always use real meat as the top ingredient, but that doesn’t mean they skimp out on alternatives. This one’s perfect for puppies who can’t really stomach grains or beef. It’s got all the good things for puppy development (protein, DHA, fat, and so on) and is made with whole foods to make digestion smoother. DHA for cognitive growth and Vitamin E to soothe your puppy’s skin. If it’s actually chicken that’s causing your puppy to have sensitive tummy issues, you may want to consider another one of our limited ingredient suggestions. 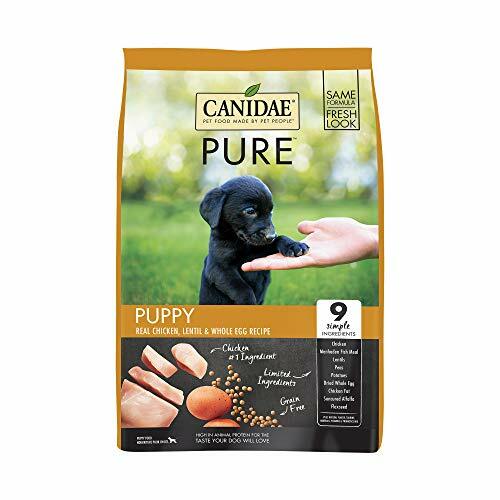 Although 12% fat may be quite low for smaller breed puppies, Canidae Grain Free Pure offers 520 kCal in every cup. That’s enough for healthy puppy development, and we love that it’s got so many great reviews from happy puppy mums and dads! We’ve been blown away by this recipe once before, in our Fromm Puppy Food Reviews. And, we’re now firm fans of this game bird dinner, which is AAFCO-certified for pups and adults alike! Helps to keep worms at bay by featuring chicory root amongst the natural ingredients. We loved it when we first discovered it, and we haven’t stopped since! Puppy owners have only good things to say about this puppy food for sensitive stomachs. 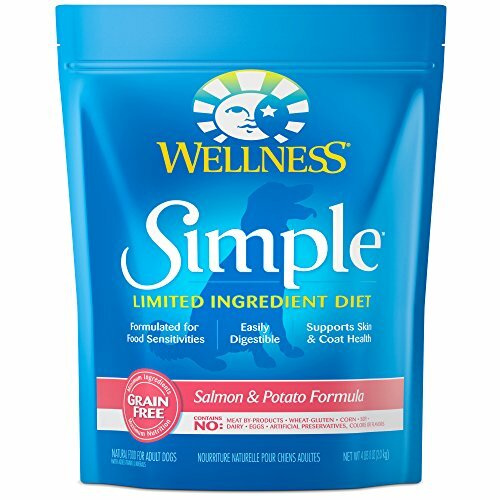 It’s suited for all puppy sizes, and thanks to its grain free formula, it’s a safe bet for little ones with sensitivities. If your puppy’s tummy reacts poorly to the usual meats found in puppy food—beef, and chicken, for example — the best dog food for puppies with sensitive stomachs is one that uses an alternative animal protein as the key source. Like salmon! Wellness Simple recipes are always made from one single novel protein – in this case, salmon. Zero chicken, which is a common allergen for sensitive canines – and zero grains! Suitable for the smallest dogs all the way to dogs who weigh 125 pounds! Contains potato, which some sensitive pups can’t tolerate. While there aren’t many natural veggies in this, there are zero non-natural preservation agents, and no synthetic colors, flavors, or vague by-products. Salmon’s such a healthy source of heart-healthy oils, so we’re happy – 4 stars out of 5! Keeping it simple for your puppy? The Merrick Limited Ingredient Diet range is a perfect choice if you’re after puppy foods for sensitive stomachs. They are 100% without potatoes and grains and use only one source of animal-derived protein. Protein from only one animal source, a good way to keep track of what your puppy’s eating—in this case, it’s lamb! Made with chondroitin, Omega acids, and glucosamine for healthy skin and joints. Bear in mind that the recipe’s changed recently to feature chickpeas in place of sweet potato, so just don’t get confused with the old one! Has vitamin supplements instead of natural veggies and fruits—but it’s still all there! Merrick puppy foods for sensitive stomachs are made with only a small amount of carefully selected key ingredients. Not only does this recipe contain high-quality protein and loads of vitamins, but it gets great reviews from Moms and Dads of puppies with sensitive stomachs. 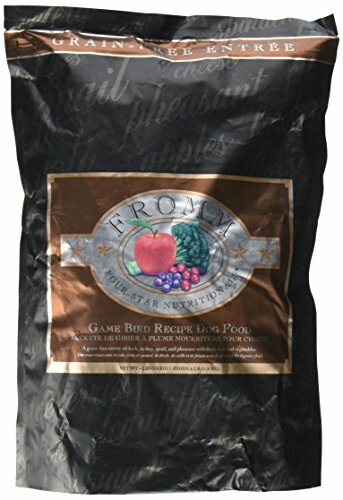 Here’s an awesome seafood alternative for those of you with puppies who can’t handle grains or beef. 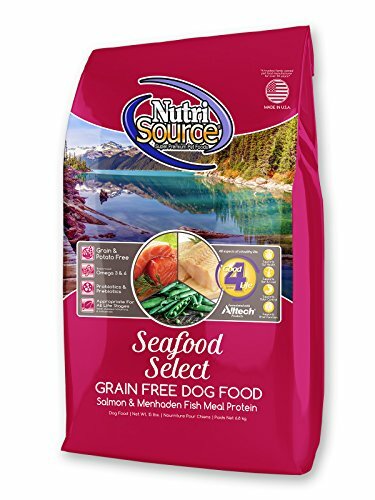 Suitable for both puppies and grown dogs, it features salmon, menhaden fish meal, and some chicken and turkey. Designed to be a low-glycemic and gently digestible food, it’s great for avoiding diarrhea or gassy tummies. Not suitable for puppies who react badly to poultry- or chicken-derived proteins. Little sensitive puppy stomachs should find this nutrient-packed, grain- and beef-free recipe a nice easy meal to digest. It’s suited for smaller puppies and adult dogs of up to 85 pounds, although you’ll need to feed your puppy more than an adult dog would require to meet all his energy needs. 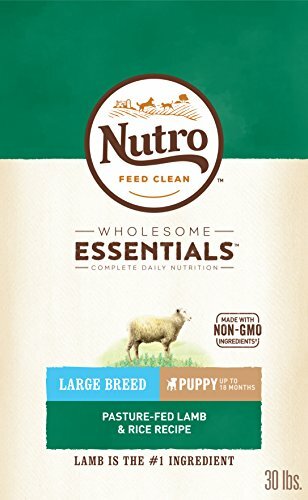 If you’ve got a puppy who’s used to foods with chicken, he’ll find the lamb in this Nutro Wholesome Essentials blend a novel treat. It’s similar to the ‘all sizes’ Nutro dinner we included in our review above. This recipe’s just got a few special tweaks for those larger puppies! 2% calcium – perfect for powerful puppy bones and teeth! There isn’t a lot in the way of real veggies here, although you’ll find split peas and peas for fiber and vitamins. The only further thing we could ask for is some leafy, colorful veggies for vitamins. Nutro Wholesome Essentials offers the AAFCO tick of approval for a whole and balanced puppy food. And, it’s both yummy and soft to digest! Developed for puppies who grow to up to 20 pounds, Purina Pro Plan features natural fish oil for DHA, Omega acids, and lots of antioxidants for immune system health. All packed into tiny, cute little chicken kibble bits so they’re easy to crunch. Loads of vitamin supplements – there’s everything from A to D-3, B-12 and E in here! Features glucosamine that will keep your small pup’s joints healthy. This recipe’s crafted with your Yorkie, Daschund, Pom, or Terrier in mind. We’re a little hesitant about the by-products in here, but they’re a rich source of glucosamine. 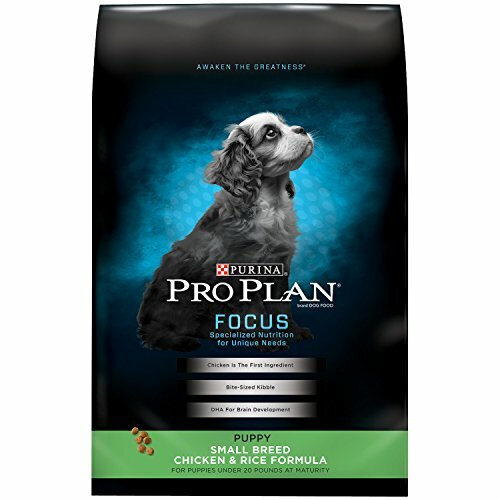 Everything from the high-calorie content and awesome protein punch makes this dinner ideal for little puppy goodness! As mentioned, some puppies may have allergies to specific ingredients, while others may be intolerant. Some common ingredients that can trigger the symptoms of intolerance are grains such as wheat, barley, or corn. Somewhat surprisingly, meats such as beef and chicken are among the ‘usual suspects’ when a puppy is having reactions like gas, diarrhea, vomiting, or even itchy skin and ears. Every puppy or dog is unique, but some breeds are more susceptible to intolerances than others. Terriers like Yorkies may be more likely to develop sensitive tummies over time and need to stick to a puppy food for sensitive stomachs. It’s possible that the condition may become more pronounced over time—but don’t worry. With a good start on a sensitive puppy food, you’ll be doing the best you can for your fluffy friend. Generally, it’s not a great idea to encourage your puppy to share your dinner by giving them table scraps. It’s even more strongly suggested that you avoid this if you’ve got a puppy who has a sensitive stomach. With a complete and balanced puppy food for sensitive stomachs, your little one will already be getting all the nutrients he needs for healthy development. He’ll also be getting all the calories he needs for growth and feeding him table scraps can contribute to obesity. For pups who already have sensitive tummies, it’s possible that feeding little bits from your meals may make the problem worse. Without a complete list of ingredients that are triggering his symptoms, you may end up accidentally feeding him something that sets off an intolerance. Good question! We’ve tried to cover the many needs of different puppies – namely larger breeds, small breeds, and those who prefer wet foods. If you’re not sure which one your puppy enjoys best, it’s a good idea to experiment. There’s no harm in trying one brand one month, and a different brand the next, if you make the change over a week or so. Just try not to give your puppy’s little tummy any more shocks than it has already been through! When switching your puppy over, try to do so by mixing in some of the new puppy foods for sensitive stomachs with the old. Gradually increase the amount of new food each day till he’s completely on the new food.